Twenty-two years as a court bailiff prepared Kylie well for property management, honing her skills at communication, reading situations, keeping a step ahead, and mitigating difficult confrontational situations to achieve good outcomes for all involved. Total attention to detail and efficient planning and organizational skills to meet right deadlines are also areas where she excelled - important attributes to bring to property management. As her bailiff’s job became more dangerous Kylie looked for a career that would fit her skill set. Property management proved perfect. Kylie has owned property, including a rental, so understands the needs around being a home and investment property owner. Her love of people, property and flexibility made her jump at the opportunity. As part of the Eves team Kylie benefits from the resources of a large company coupled with the sense of belonging created by its supportive family culture. 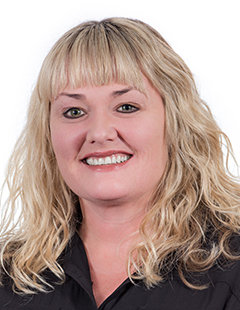 Kylie is thriving in her property management career, looking after a diverse range of Hamilton properties for a diverse cross section of landlords and tenants. Thank you Kylie, you were truly an amazing property manager, and I saddens me that you will no longer be mine. I hope to be able to be a client of yours again sometime in the future. the new changes pending the 3rd September.